He is a graduate of Princeton UniversityBSE - 1953, MSE - 1956 and the University of MichiganPh.D. - 1962. He has taught at the University of Zambia in 1970 and 1976, at the University of Malawi in 1980-81, 1983-84, and 1988-89 at the University of Botswana in 1993, and Africa University in Zimbabwe. Other foreign countries in which he has done teaching or consulting are Bangladesh, Indonesia, Nigeria, South Africa, The Philippines, Taiwan and Thailand. In 1965 he was with the Space and Information Systems Division of Raytheon Corporation as a participant in the ASEE Residencies in Engineering Practice Program. He has consulted for several engineering companies and for the Rhode Island Public Utilities Commission, the New Jersey Department of Higher Education and the United States Naval Academy and has been involved in several projects dealing with secondary school science teaching. At Brown he presently teaches introductory management, managerial decision-making, and appropriate technology. In the past he has taught several different Electrical Engineering courses. He was responsible for the program in Organizational Behavior and Management. 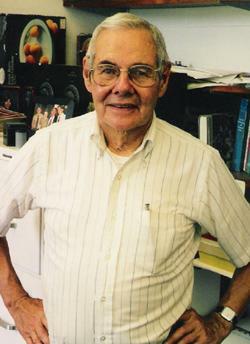 He received awards for teaching from thirteen senior classes at Brown, 1972 to 1984, and 1990. In 1985 the award was named after him. He has also received awards from the ASEE, Providence Engineering Society and the New York Brown Club. In May 1987, he received an honorary Sc.D. from the State University of New York in Stony Brook. He was a Fulbright lecturer in 1988-89 and 1993. He has written papers on digital logic, technology transfer, and engineering education, a textbook on electronic circuit design and a textbook on small-scale technologies. A field guide to appropriate technology is now in press. Professor Hazeltine's research interests include engineering management, technology planning especially in developing countries, teaching of technology for liberal arts students, and digital computers.